“In theory there are two opportunities for the sprinters. We can count on Jens Debusschere, André Greipel, Jürgen Roelandts and Marcel Sieberg in that case." In the run-up to the classics Lotto Soudal is racing in the southern part of Europe. While a team of seven will ride the Ruta del Sol, eight others will take part in the Volta ao Algarve from Wednesday 18th until Sunday 22nd February. The Algarve is a region in the south of Portugal. There are two sprint opportunities in the Volta ao Algarve: the first and final stage. Apart from that there are two tougher stages and a time trial. That time trial, nineteen kilometres long, is scheduled on Friday. The last five kilometres are slightly uphill. Thursday the riders have to climb in the final, with two official climbs of third category. Between those two KOM points, spread over a distance of 55 kilometres, it goes up and down all the time. The second KOM comes 5.4 kilometres from the finish. The last straight line is downhill. The penultimate stage will be the toughest. The Alto do Malhão will play a crucial role. It’s on this climb of second category that the finish line is drawn. After a first passage the peloton has to cover just over forty kilometres. There’s a climb of third category before the final ascent of the Alto de Malhão, where the riders can battle for the stage win. “We aim for a stage win and a good overall classification," sports director Herman Frison said. 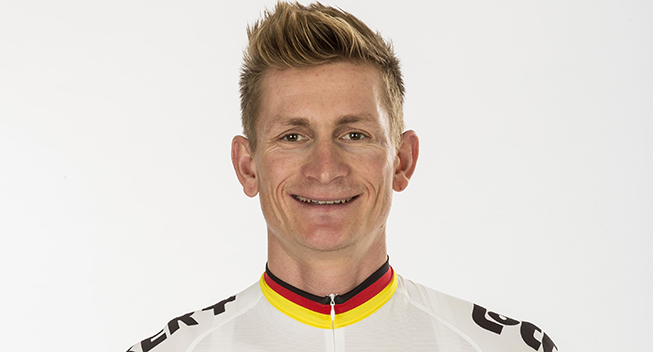 "Tony Gallopin is our man for the GC. In the Etoile de Bessèges Tony proved that he had a good winter, just like the others, so he can set a good result in Algarve as well. Tony rode a strong time trial in Bessèges, the course in Algarve has to suit him as well. Together with the stages of Thursday and Saturday the time trial will be one of the decisive days for GC. Of course Tony could win a stage as well. “In theory there are two opportunities for the sprinters. We can count on Jens Debusschere, André Greipel, Jürgen Roelandts and Marcel Sieberg in that case. We do want to race offensively and Tiesj Benoot, Stig Broeckx and Sean De Bie can do that. It’s always good to have a man in the front group and if the break makes it, they can finish it off. Tiesj Benoot, Stig Broeckx, Sean De Bie, Jens Debusschere, Tony Gallopin, André Greipel, Jürgen Roelandts and Marcel Sieberg.